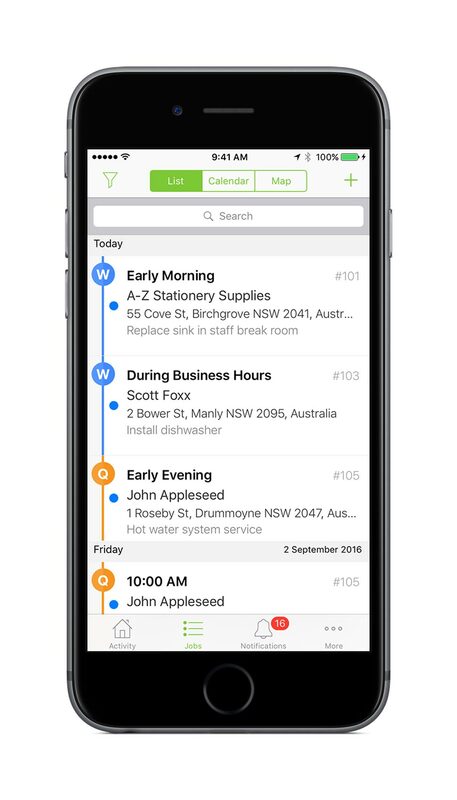 Impressive communication, navigation, quoting, job management and invoicing capability, tailored for ease of use with your iPhone or iPad. 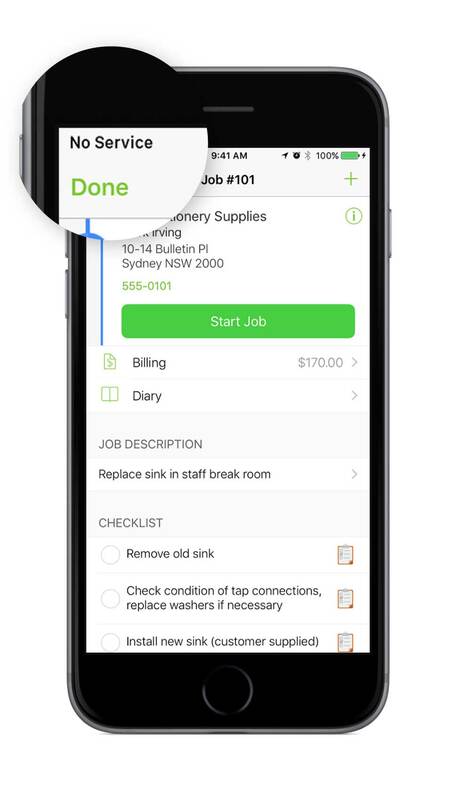 You’ll also receive notifications that tell you everything you need to know about your next job and when you need to leave. The watch will even help you navigate your way there. Field staff can access all job information, see their schedule, take photos and videos, collect signatures, and much more - all without internet connectivity. In fact, the only limitation while completely offline is the ability to produce templates and send emails/TXTs. Once you're back online, all changes will automatically sync. 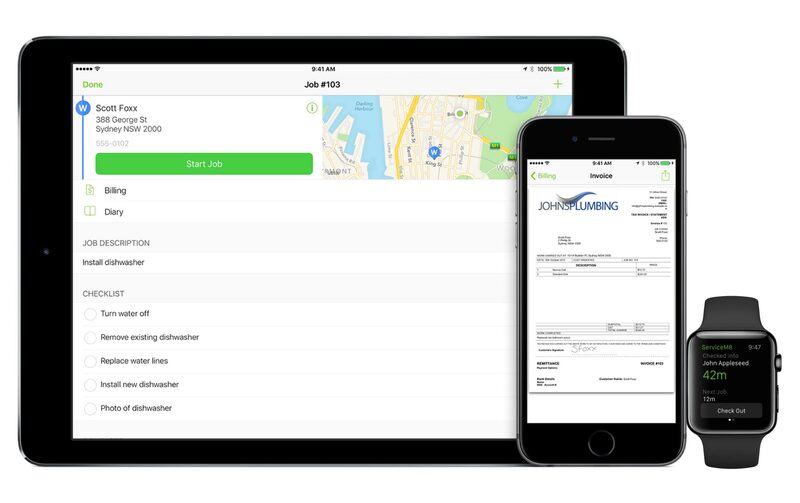 Software designed for specific hardware means the app provides a seamless experience on both your iPhone and iPad. This is an industrial-grade partnership of hardware and software, designed for constant and dependable use in the field. 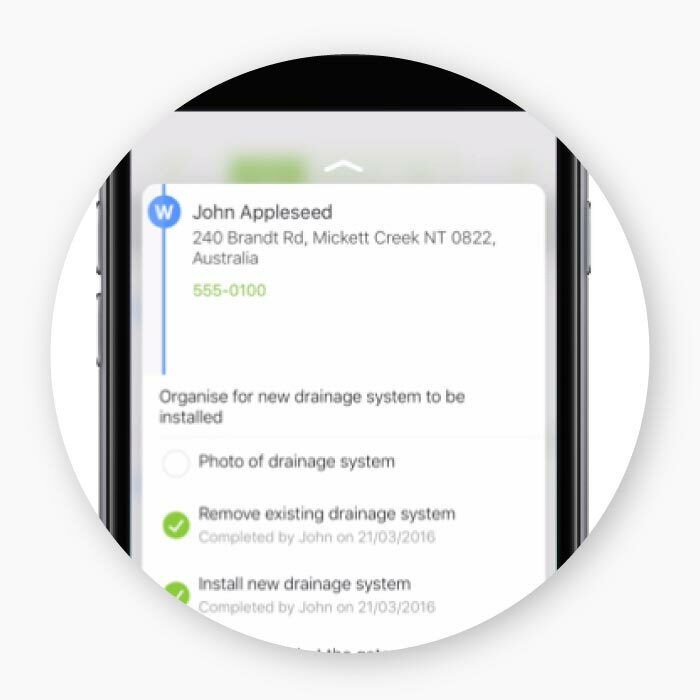 Solely focusing on the Apple platform means a fast, high quality and reliable app which keeps pace with the needs of modern field service businesses. Peek into jobs for more information. 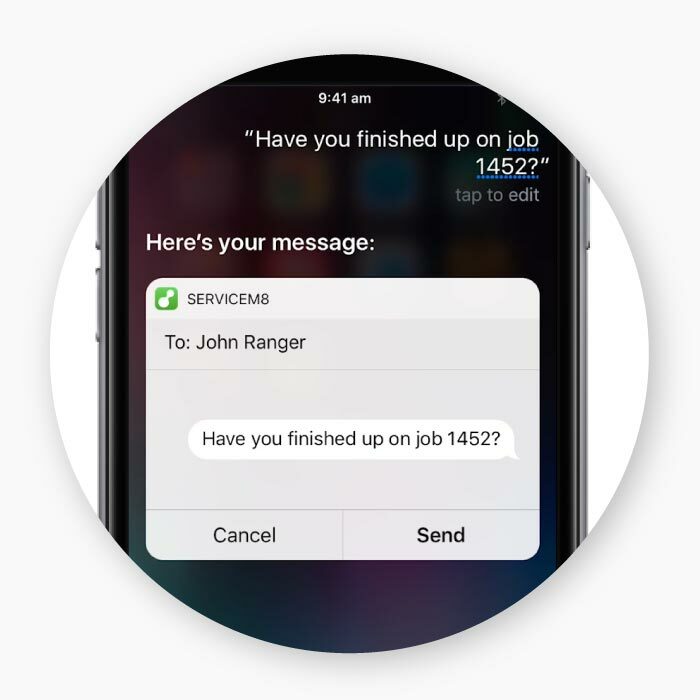 Send messages to staff and the feed with Siri. 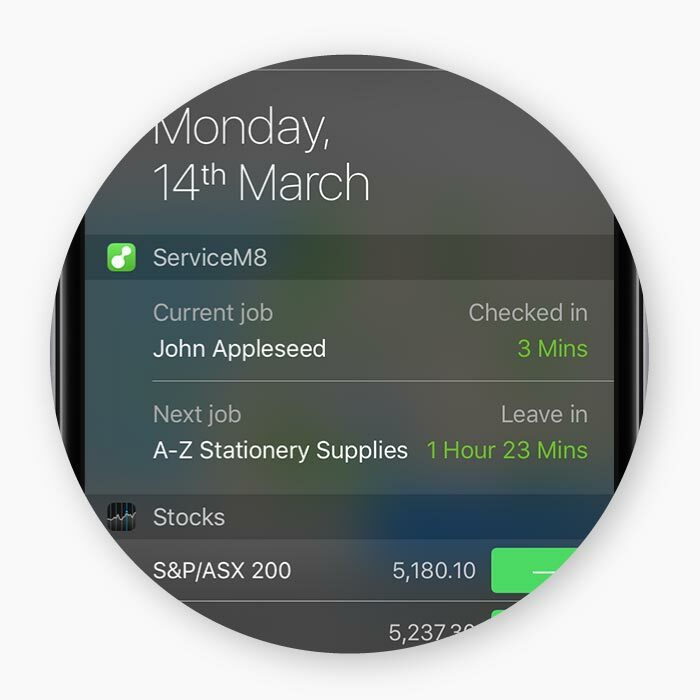 Use ServiceM8 side-by-side with your favourite apps. 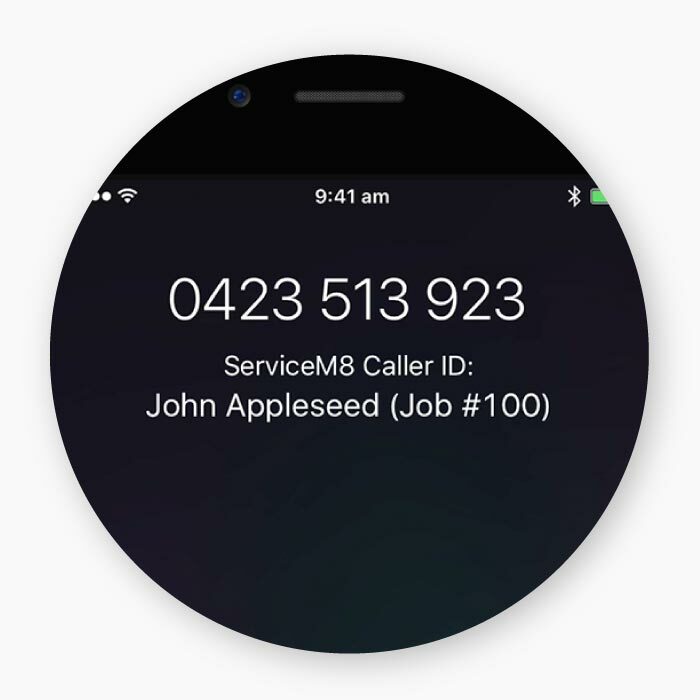 See customer contact details when they call. 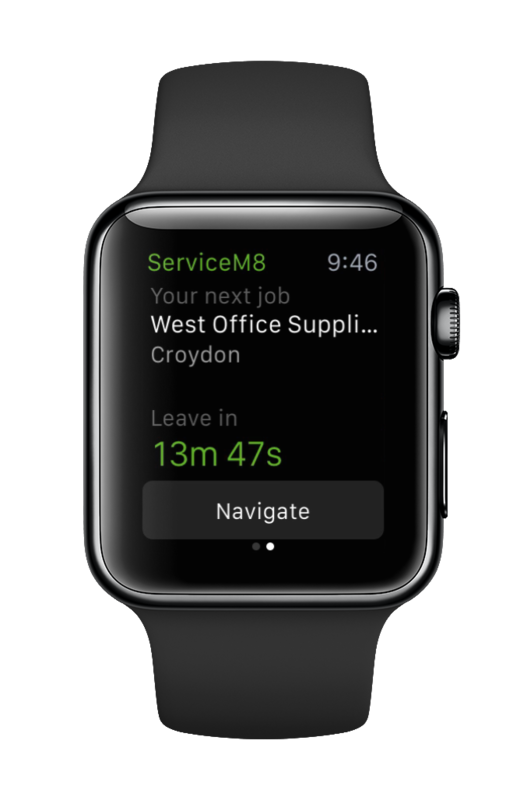 See more information in ServiceM8 notifications. 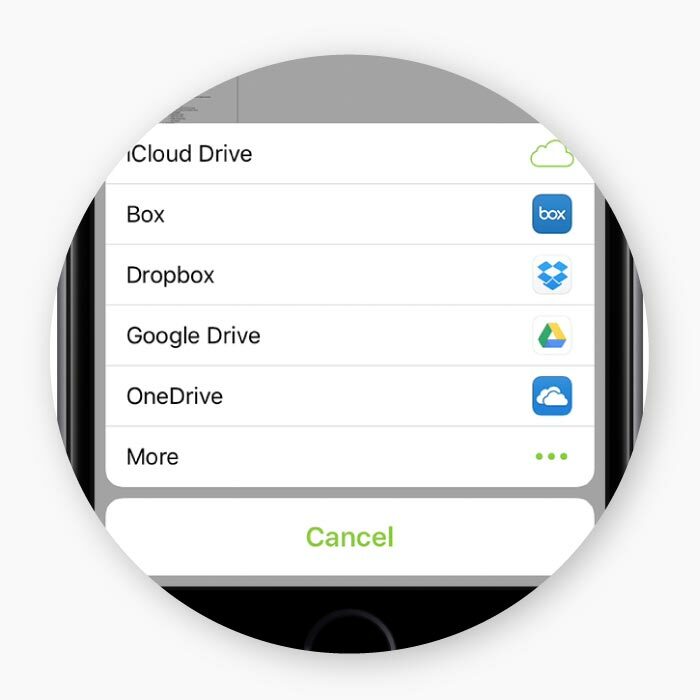 Attach files to emails from your favourite cloud storage. 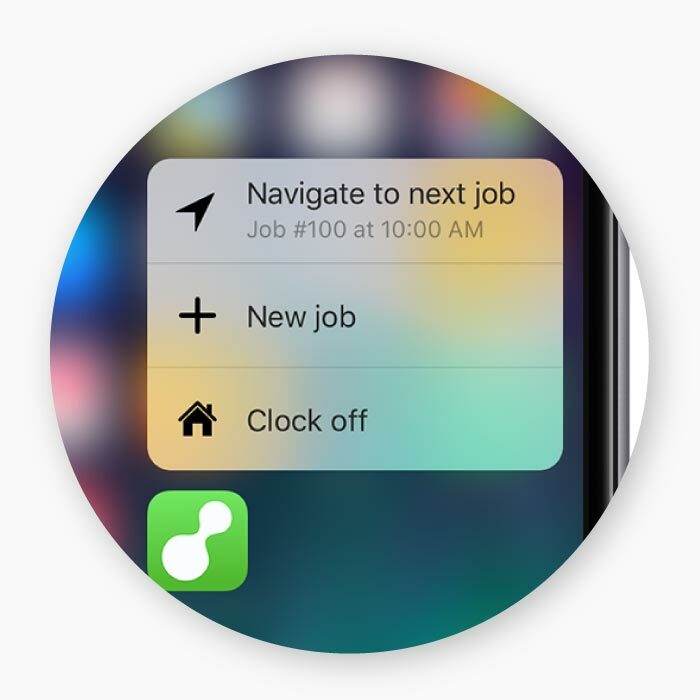 Clock on or off, navigate to your next job and create new jobs. 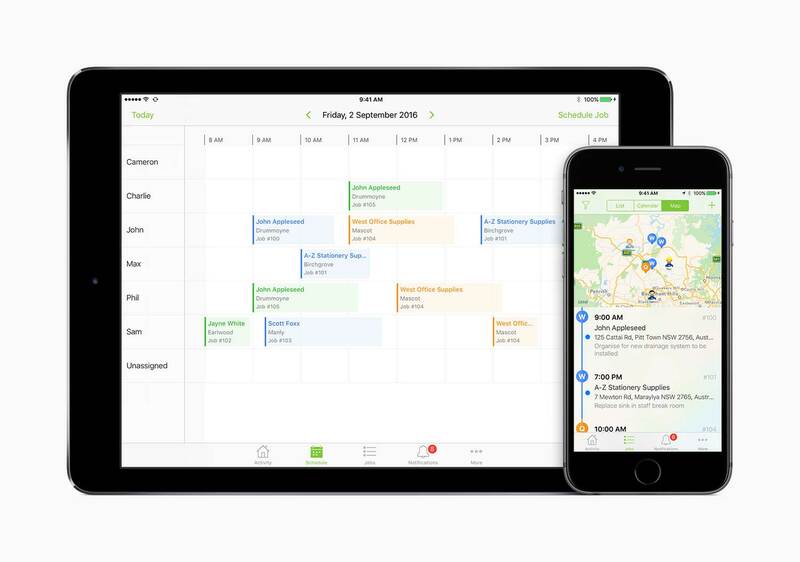 See your current and next job in iOS Today. 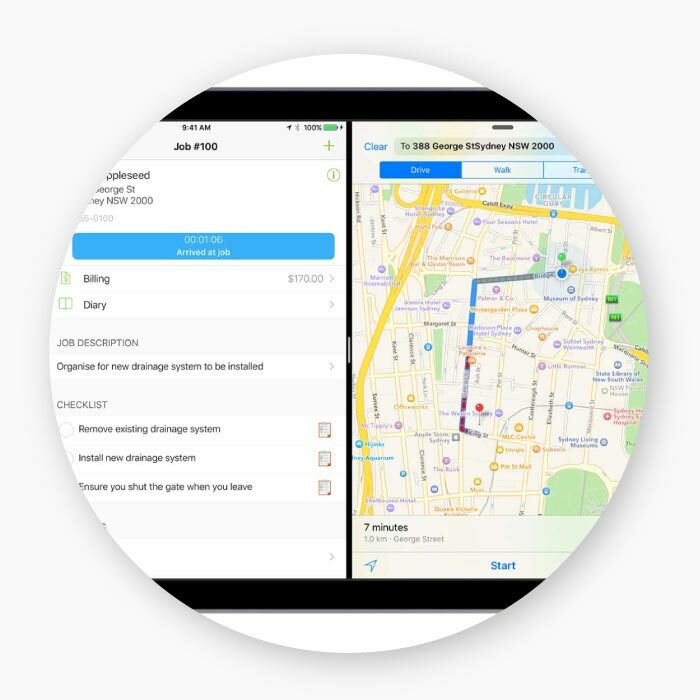 Share documents and images directly into ServiceM8 jobs from other apps. Photo tags add a professional touch and are great help when documenting jobs. 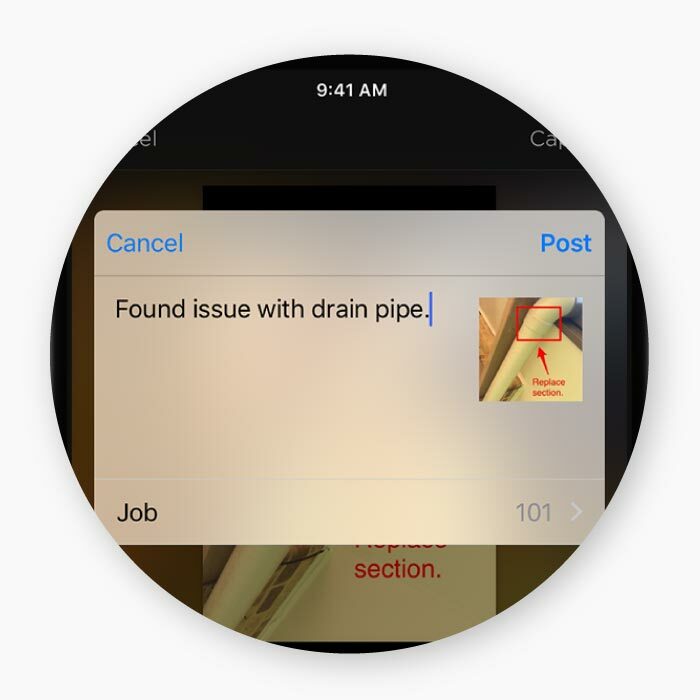 With ServiceM8, you can use your voice to tag photos! 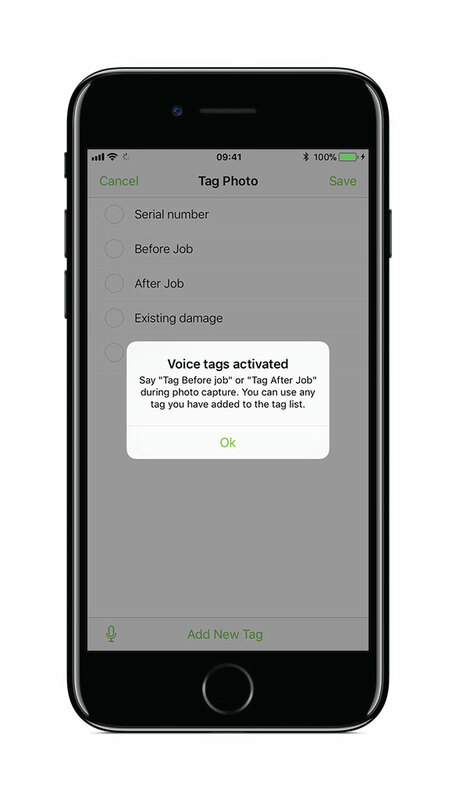 Say “Tag Before Job” or “Tag After Job” prior to photo capture, and it will automatically apply the tag to that photo and any that follow. You can use voice tagging with any phrase added to the tag list. 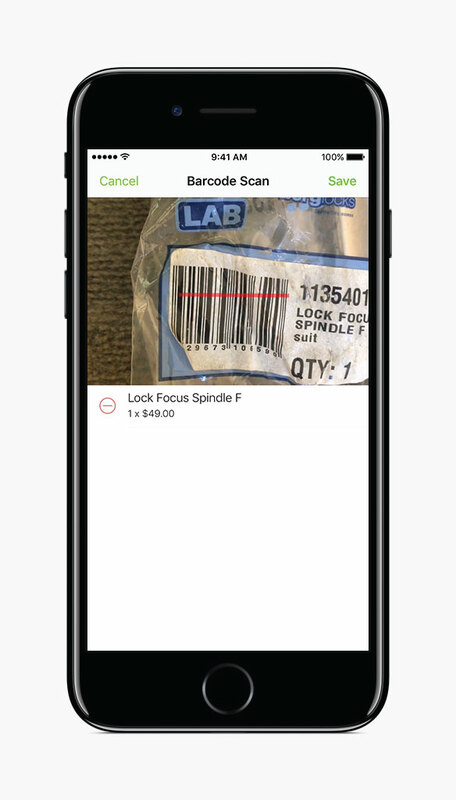 There’s still a lot of paperwork in field service, which is why there's a document scanning function in the ServiceM8 app. 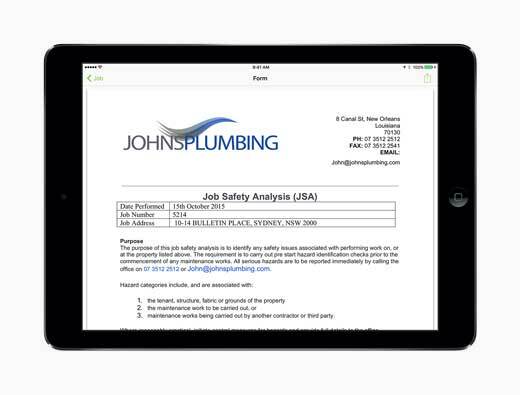 Simply open the camera from the job card, switch to the Document option, and hover over a document. 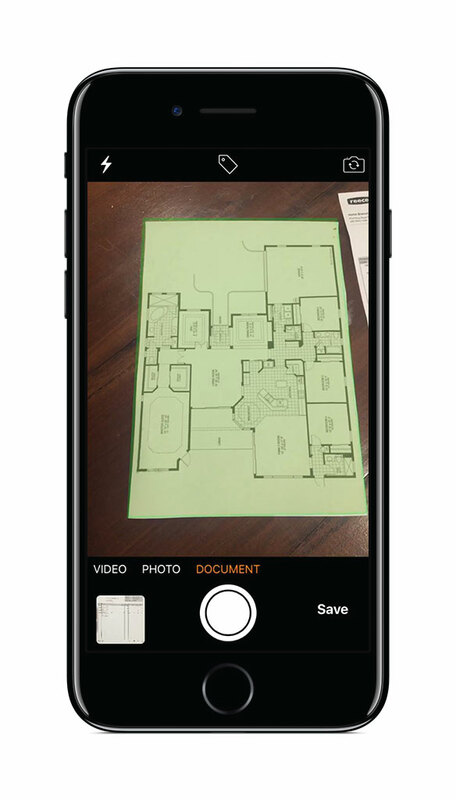 ServiceM8 will auto-detect and focus on the document, and once captured, crop the image, ready to save to the job diary in a high-resolution PNG format. 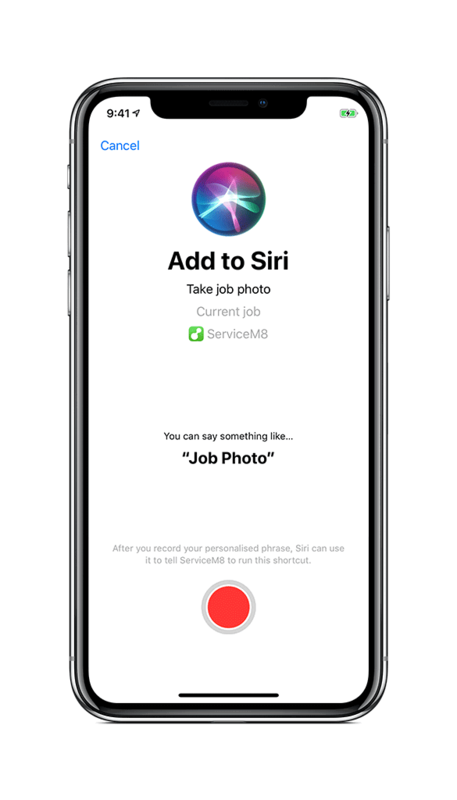 Set up connections to ask Siri for ServiceM8-related information, perform specific tasks in ServiceM8, or open ServiceM8 directly to a specific view. 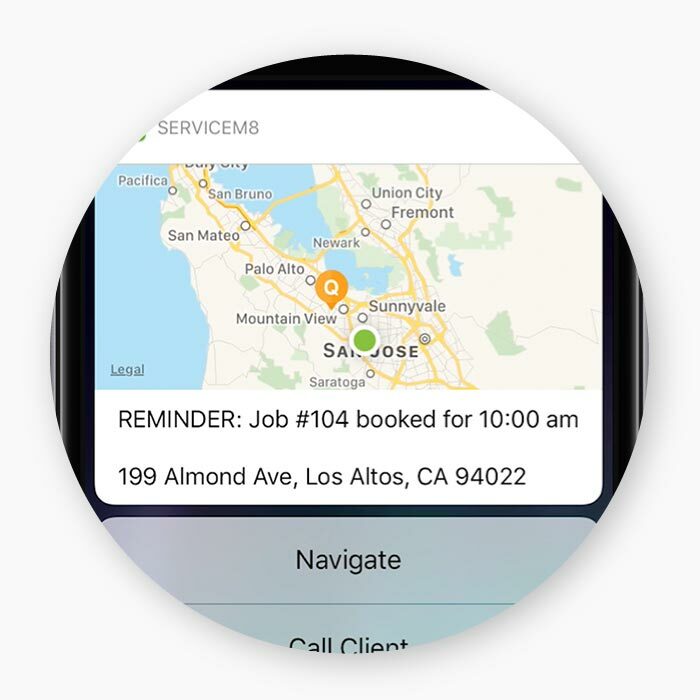 Ask Siri about job or client information when your hands are full, a Job Summary on the drive to the next site, or to text your next client that you're running late. 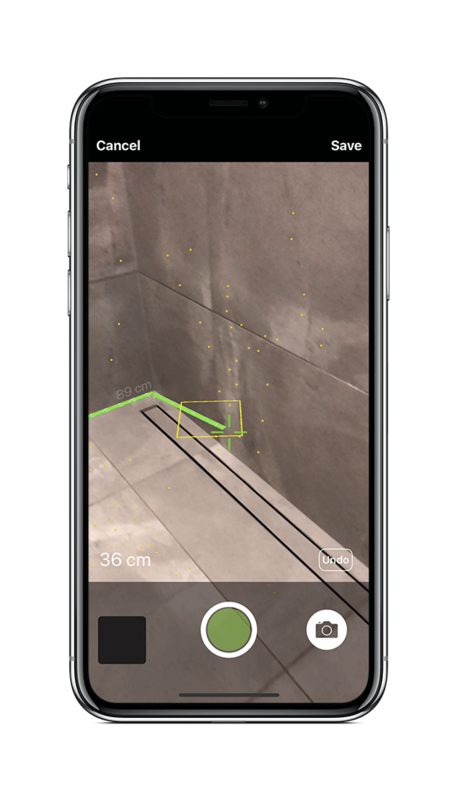 Measure out lengths and areas in Augmented Reality, using only your iPhone or iPad. 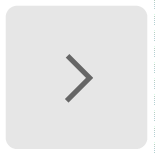 Save measurements and 3D diagrams against jobs, and input measurements directly into electronic forms.